Here's a new series of posts designed to provoke intellectually stimulating debate. 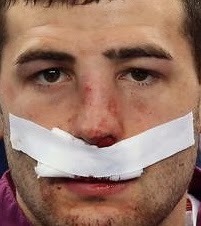 Will JONNY MAY'S NOSE be fit to face Scotland? And, more importantly, how does he smell?